Creating a guest list can be really tricky. It's hard to figure out who needs to be on the list, who should be on the list, and who doesn't make the cut. 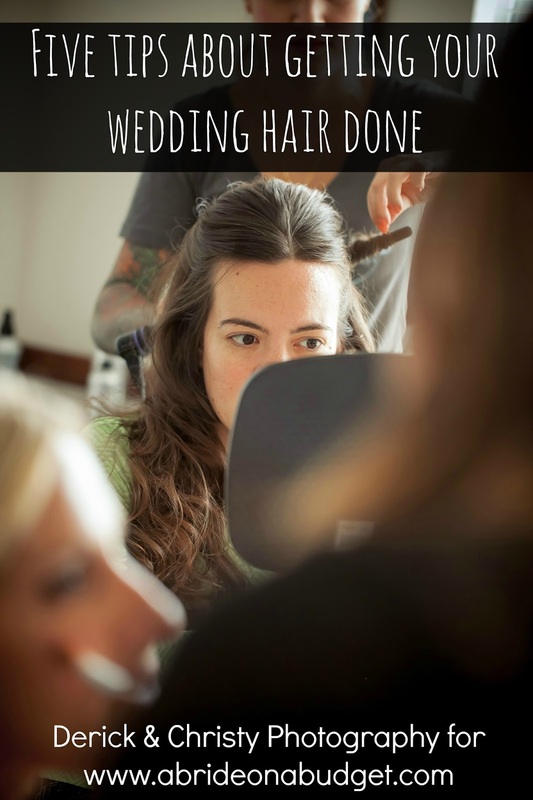 Before we started planning our wedding, we put together a guest list. We based it off our engagement party list, so it was pretty easy for us. But if you would ask me now, I would tell you to choose your venue before your guest list. Even without putting one on paper, you'll have an idea of how many guests you'll probably invite. Carry that estimate with you to venues. If you find a venue that you are absolutely in love with and find out its max capacity is 100 people , it's much easier to create a guest list of 120 and stop there because that list will give you your perfect venue's capacity rather than to create a list of 130, then find a venue that only holds 100, and try to figure out which ten people are getting the bump. And you can trust me on a few other things too. Below, I have a list of tips for the perfect wedding guest list. If you follow these rules, it'll make your life so much easier. 1. No exes at the wedding. I don't care how close you are with your ex. Maybe you send Christmas cards or maybe you're just Facebook friends. Either way, exes at a wedding don't work. Even if they just come as friends. Let me tell you a little story about "just friends." I had a best friend. Let's call him Jack (because that's not his name and I guess you're supposed to protect people when you tell a story about them on the Internet). Jack was my very best friend in the whole world. We dated briefly ten years before this story happened, broke up, lost touch, got back in touch, and just had the kind of friendship that movies are made of. We never went on dates, never held hands, never kissed. It was just a very good friendship where he would come over to clean a parking violation sticker off my car window and I would go with him when he went to get tattooed. When I was in the relationship I was in before Pete, Jack was with me through the ups and downs. He promised me we would be best friends forever and he would go to my wedding "even only as a guest." Which is a weird thing to say to someone you're completely platonic with. Except, well, his feelings weren't. He was my very best friend and I was the person he was in love with. Awkward. When I started dating Pete, Jack was crushed (which was odd to me until I realized he was in love with me) and stopped talking to me. I didn't have to worry about leaving him off the guest list and making up an excuse. But really, the simple thing is: No exes at the wedding. It's just messy, even if you can't see that right away. 2. Let your parents invite their friends, but only if you know them. Your wedding is a celebration, and it's also one for your parents. Their kid is getting married. They're super happy and want to celebrate with their friends, just as much as you do. And they should be allowed to. Let them invite their friends. Chances are, you probably grew up with those people in their lives and their kids are your non-blood family. But what about your dad's friend, Jim from Accounting. Have you met Jim from Accounting? If not, then no. Jim doesn't get an invite. There's not much more awkward than standing on your receiving line and having someone you don't recognize coming up to you saying, "Congratulations. What a beautiful ceremony. You look like such a happy couple. Oh. By the way. I'm your dad's friend. Jim. From Accounting." Yes, your parents will want to invite people and that's okay. But if you haven't met them before the invitations went out, it's okay to cut them. 3. When you do make a list, keep in on Google Docs. I am absolutely obsessed with Google Docs for weddings. It's so helpful. Everything is saved on Google Drive, which means you can access it from any computer at any time. If you have a Microsoft Word document with your guest list saved to your hard drive ... and then your laptop crashes, your guest list is gone. True story. From my wedding planning. Through our entire wedding planning process, anything that could go wrong did go wrong. It was a really good learning experience and has definitely helped me problem solve for brides and anticipate what could happen. But really, losing my laptop with our wedding guest list saved on it ... that happened to me. So go with Google Docs. You can access it from anywhere and you can share the documents with anyone too. It's awesome. 4. Invite those out of town relatives who you know won't make it. When you're making your guest list, you have to account for the fact that some people just won't be able to make it. The almighty "they" says about 25% of your guests will say no if it's a local wedding; 50% if it's a destination wedding. You "over-invite" based on that fact. But people who you know won't make it, it's okay to invite them. I mean, don't invite everyone you ever met because that looks like you are fishing for gifts. But your great aunt who lives in Florida and doesn't travel, you can invite her. Sometimes, people just like to know that you're thinking of them. Sometimes, people just like to be included. 5. Don't feel obligated to invite people, just because they invited you. If your college buddy got married seven years ago and you went to the wedding but haven't really talked to that friend in the last five years (besides a like or two on Instagram), don't invite them. You don't have to invite people. A few years ago, my mom and I were the "last minute" people at someone's wedding. You know, the people who you ask last minute to fill seats. Some people are really honest about it; others feel bad and tell you the invite must have gotten lost in the mail but it's in three days and are you free? So when we were creating our list, I was wondering if I had to invite those people since I did go to their wedding. The answer was no. They didn't make it onto our guest list. I didn't ... and honestly, I don't know if those people actually even know I got married. BRIDAL BABBLE: What are your tips for the perfect wedding guest list? Excellent tips. I am soaking them in for when my daughters get married in the future. Just invite really close family and friends. When you are inviting one person, is it proper ettiquette to let them include a +1? You would address it as Ms. X and Guest? Be sure to allow for the plus ones. 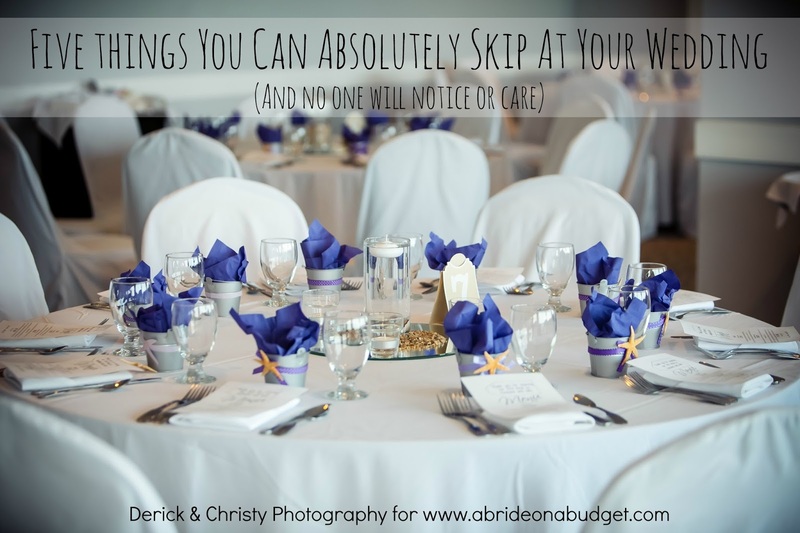 I'm the MoH at a good friend's wedding and I really wish she had read this post! Right off the bat, when she got engaged, she was basically telling everyone that they were invited and now that the real planning is underway, it's a little (okay, maybe a lot) awkward for those that she really can't invite due to space and budget constraints. Just thinking about the IDEA of a guest list (and picking bridesmaids) makes me want to elope. I like the comment "No exes at the wedding". Nice to know that when I save my documents on Google drive then my planning will not be lost! Thanks for the tips! 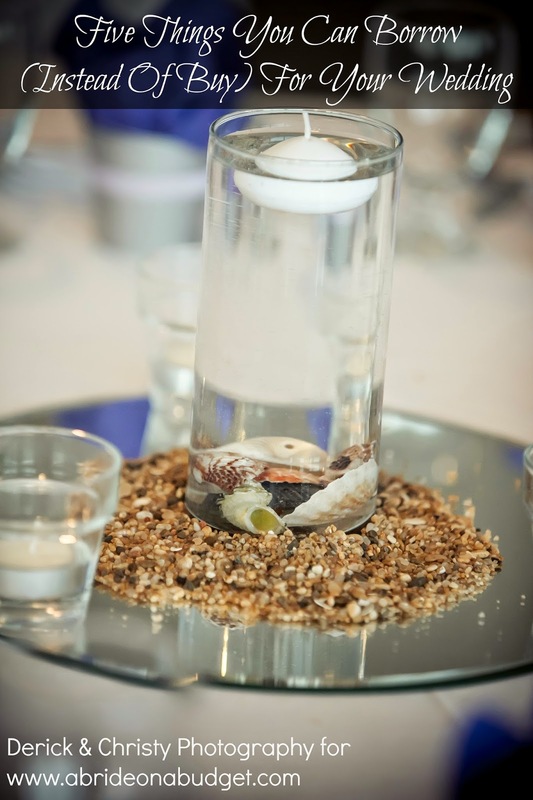 Great blog post--very helpful tips--since there are so many little details to consider when planning a wedding! I love the tip, Don't feel obligated to invite people, just because they invited you, I have had so many friends say well they invited me, thanks for including this tip!!! 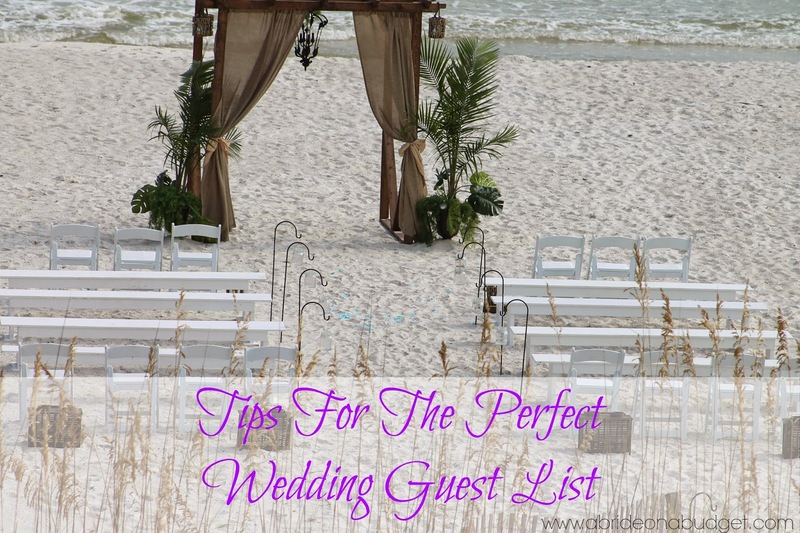 These are great tips to keep in mind when putting together your guest list. Great post.